Xiaomi has revealed that it shipped more than 10 million units of its Mi Band fitness accessory worldwide during the first nine months of the year 2015. The wearable was released back in July last year, carrying a price tag of $13. The Chinese company also revealed that over 600,000 units of the device were shipped in Taiwan during the same (January to September) period this year. Market research firm IDC in its latest report had said that Xiaomi's Q3 2015 share of the wearable market saw an year-on-year increase of over 800%. 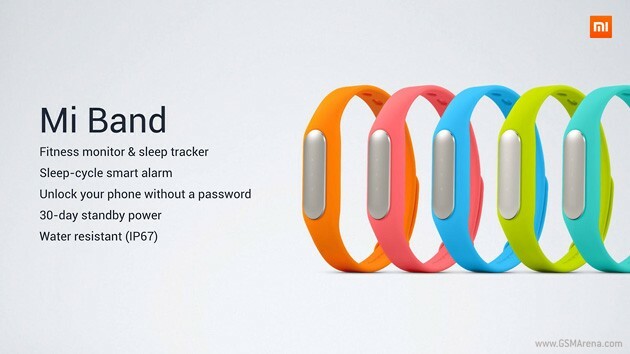 For those who aren't already aware, the company also recently launched an update to the Mi Band. Dubbed Mi Band 1S, the new wearable also features an optical heart-rate sensor, something which was missing in the Mi Band.